JeVois smart cameras by default use an Omnivision ov9653 1.3MP camera sensor. This is a very good overall sensor that is well matched to the available comptutation power of the processor inside the JeVois unit. In some cases, however, one may want to use different optics or sensors. 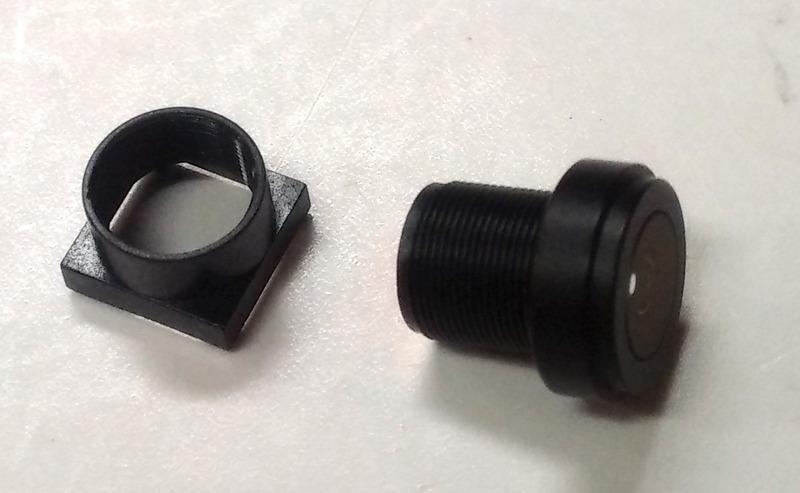 Sensors with M12 lens mounts require a new plastic case for your JeVois smart camera. They allow for the broadest range of possible lenses, from ultra wide angle to telephoto. See https://en.wikipedia.org/wiki/Rolling_shutter for more information. Typically, sensors with bigger pixels will have better low-light performance. Monochrome sensors also usually have better low-light performance. 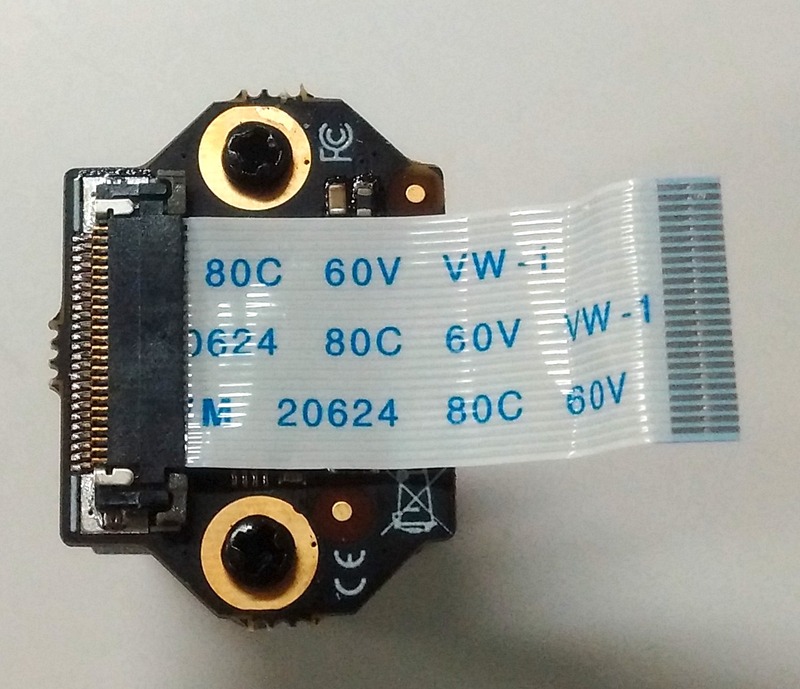 Refer to a given sensor's datasheet for more details. 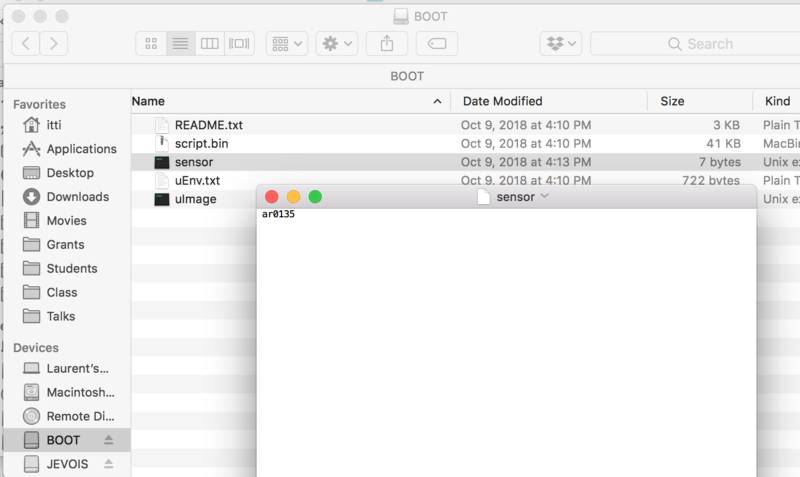 To let your JeVois smart camera know that you have installed a new sensor, you need to indicate the sensor's name in a special configuration file on the microSD of your JeVois unit. Write a single line of plain ASCII text in that file with the JeVois name listed above. Windows: use TextEdit to create and save the file. 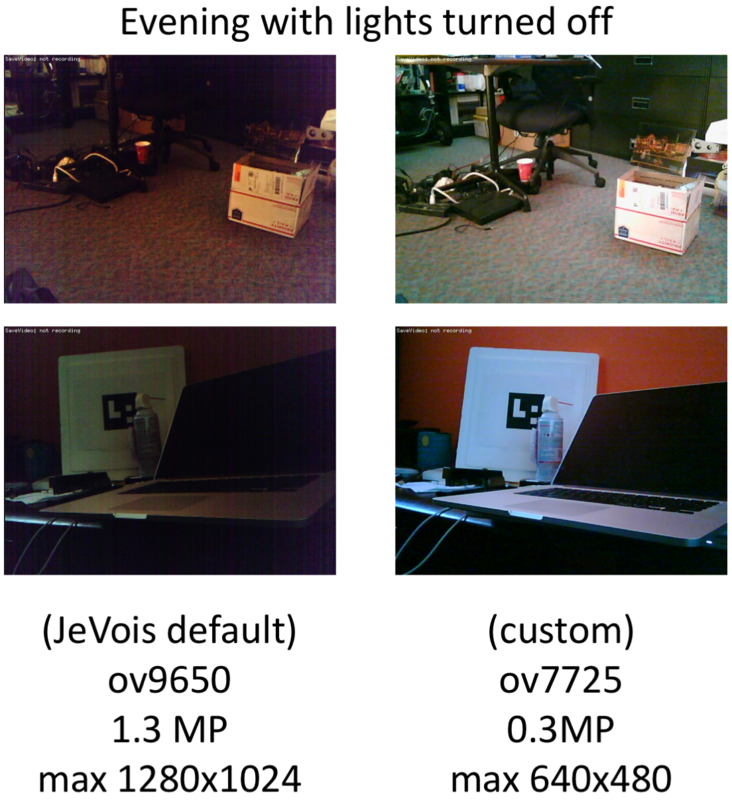 This sensor offers better low-light performance than the default JeVois sensor, thanks to its bigger pixels. On the flip side, its resolution is lower. It can also grab at 60fps at 640x480 (original sensor can only do 30fps at that resolution), but it is limited to 60fps and cannot grab at 120fps like the original sensor. Use this sensor if you feel that the original sensor is struggling in low light and you would like to sustain a high framerate in low light (otherwise, see Optimizing performance under different lighting conditions for tips on how to increase exposure time, when needed, by dynamically adjusting framerate on the original ov9653 sensor). 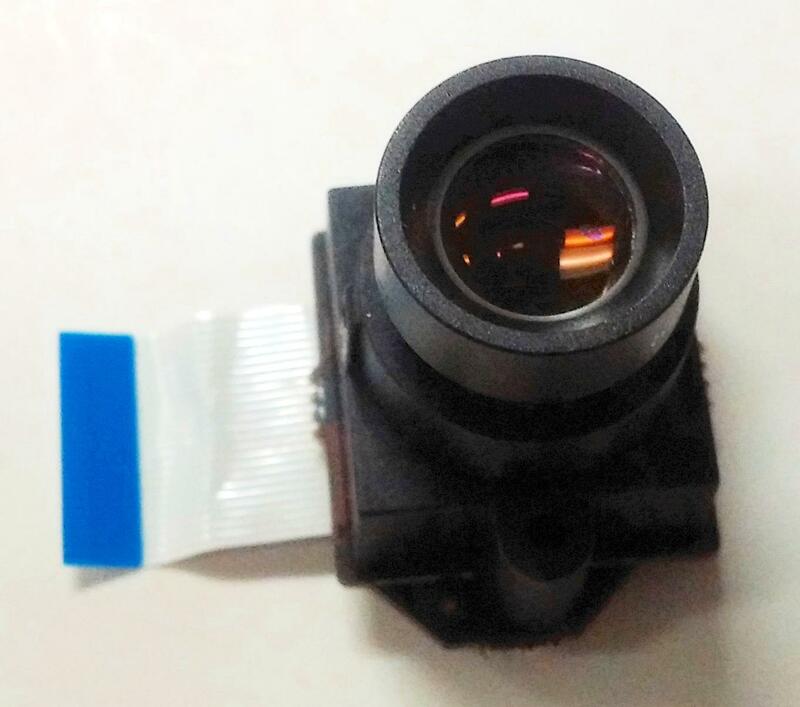 This sensor is primarily intended for industrial machine vision and hence has fewer automatic image enhancements than the consumer-grade Omnivision sensors. Only auto-gain and auto-exposure are available, no auto white balance. 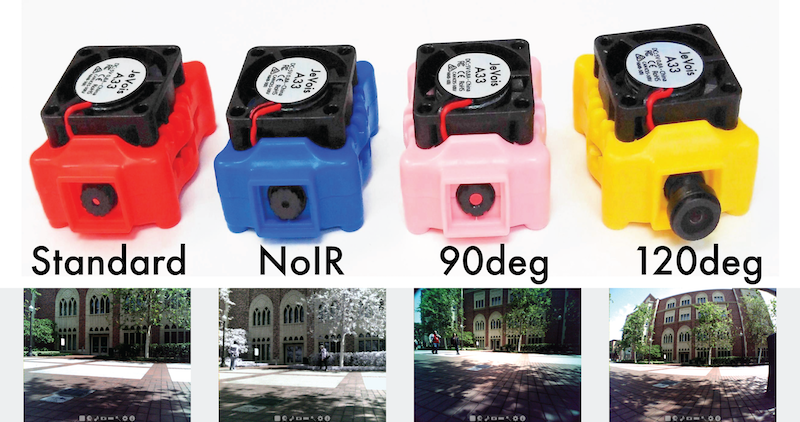 This sensor only supports RAW BAYER or GRAY output format (depending on whether you have the color or monochrome version). The JeVois core software JeVois v1.12 and later is able to convert on the fly from BAYER or GRAY to YUYV, allowing you to still run the vast majority of JeVois modules, which expect YUYV pixel format. However, there is a cost to this (the JeVois processor has to convert from BAYER or GRAY to YUYV). 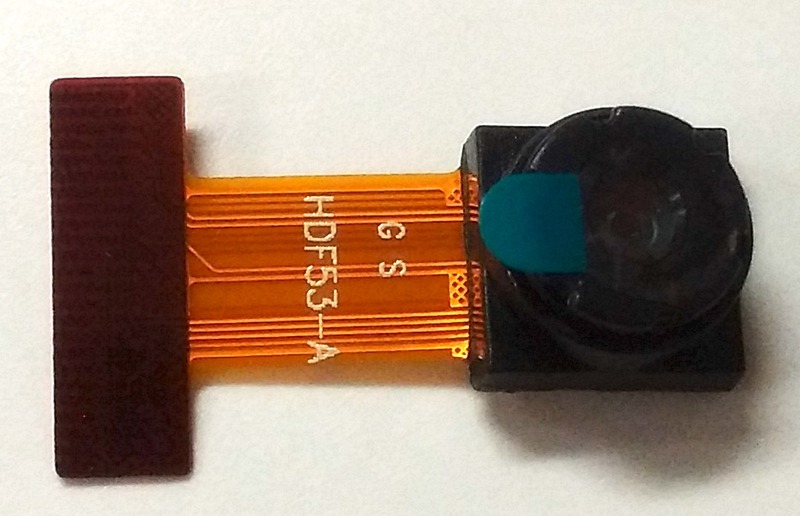 When operating in headless mode (no video out to the USB port), you can eliminate that extra cost by using BAYER as the camera pixel format and making sure your code can handle that (e.g., no problem if you will just do a getCvBGR() or similar on the input frame, that function can convert from anything, including BAYER, to BGR). As of this writing we are not able to achieve the highest frame rates advertised by the manufacturer in all resolutions. Planning on 30fps is a safer bet right now. 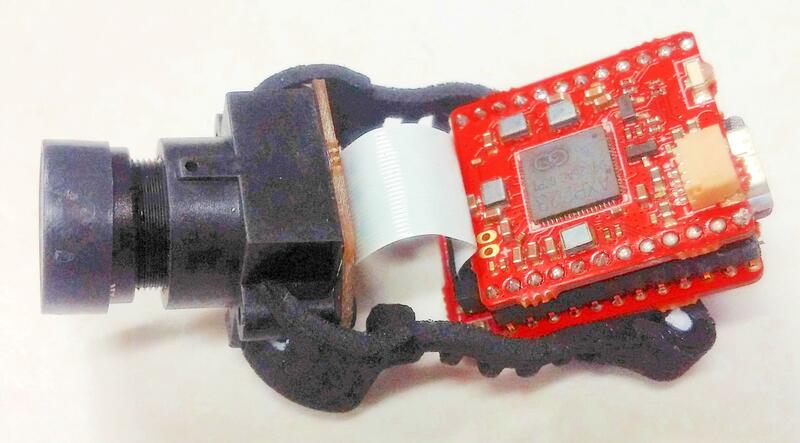 We added an awsome IMU (inertial measurement unit) to this sensor, a TDK/InvenSense ICM-20948. See new modules DemoIMU and DemoDMP. 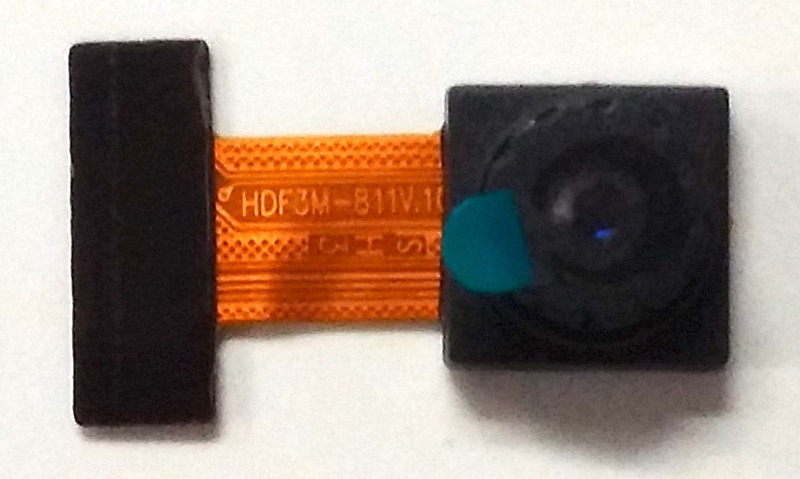 The main advantage of this sensor is its higher resolution. However, this comes at a price: light sensitivity is not as good, machine vision processing will likely be slow, at high resolutions framerate may be limited by USB 2.0 transfer speed (up to 24 MByte/s for video data). 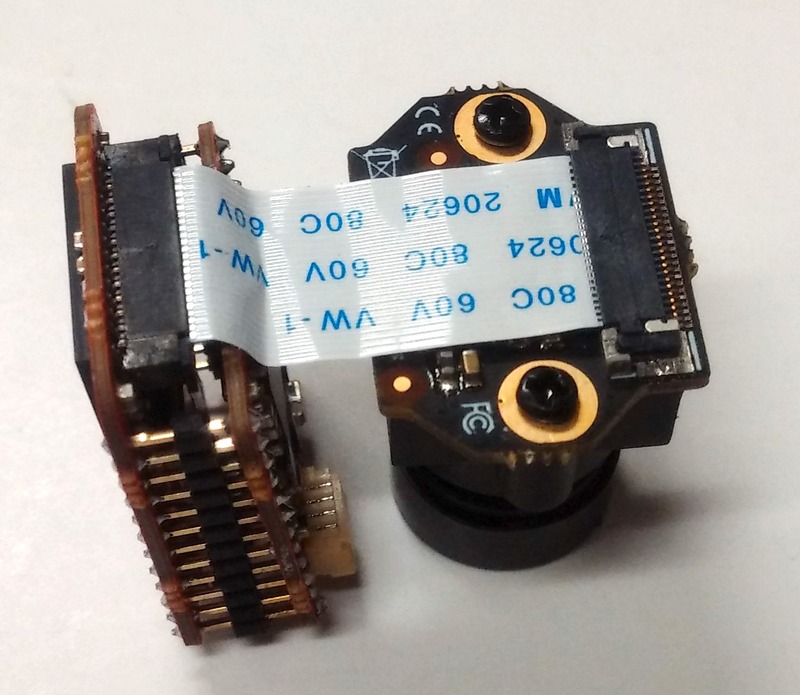 Use this sensor if you want to detect small objects far away and you do not need very high frame rate. 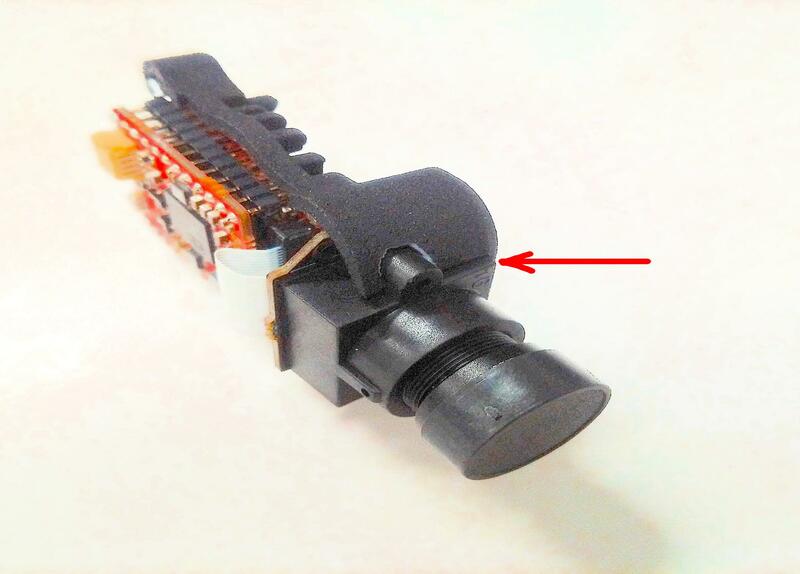 For example, detecting ArUco markers of barcodes works very well with this sensor. Standard and NOIR have the smallest lens hole. 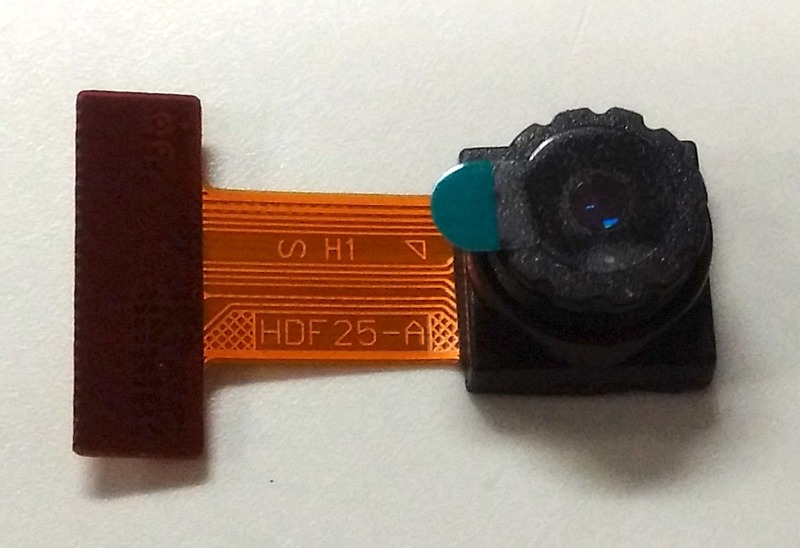 NOIR has no glue on the lens thread while Standard is glued. 90deg has a slightly bigger hole than Standard and NOIR. 120deg is much bigger and easy to recognize.